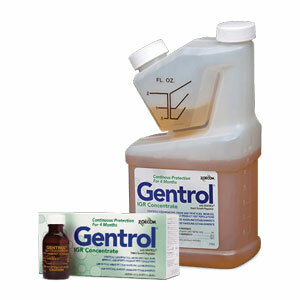 Gentrol IGR Concentrate features a translocating active ingredient to target cockroaches, drain and fruit flies, bed bugs and stored product pest in hard-to-reach areas. The Gentrol insect growth regulator, (S)-hydroprene, interrupts the insect life cycle, offering up to 120 days of control, the company says. This flexible formulation can be applied to a variety of sites, including sensitive areas such as residential and commercial kitchens, schools and hospitals. Available in 1- and 16-oz. bottles, Gentrol IGR Concentrate can be used as a fogging agent, general surface spray or tank mix partner.